Finding the best home builder makes all the difference between that dream being pleasant or turning into a nightmare. 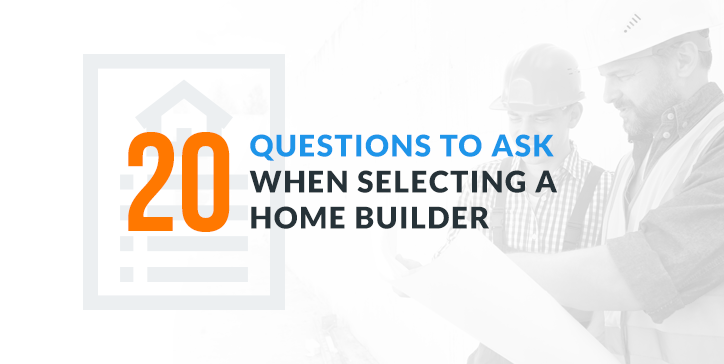 But, finding the right builder can be confusing if not frustrating. Many of the best builders are backed up for months before they can look at a project. Others might only work in specific regions. If you’re looking for custom home builders in the Philadelphia region, we at Designblendz have done some homework for you. We’ve researched custom home builders near Philadelphia to provide you with a helpful list of builders. 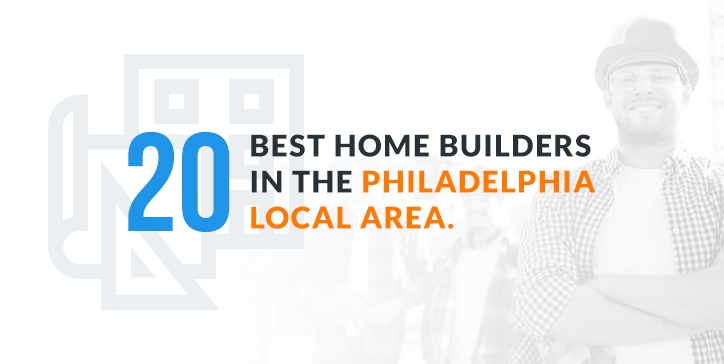 Below you'll find the contact information and a brief description of the 20 best home builders in the Philadelphia local area. Company president and master craftsman Chris Corey has over 30 years of experience building everything from finished basements to ultra high-end custom homes. Corey’s company has flexible contracts, working on cost plus to lump sum arrangements. Corey-Built, Inc. operates in the Bucks County region as well as Delaware and Lehigh Valleys in Pennsylvania. Michael Zimmer is president and CEO of Dakota Dawn Delineation. He’s also an architect as well as a custom home builder. Zimmer’s company specializes in design-build and has won numerous awards as a certified luxury builder. Zimmer excels at taking custom projects from their concept to completion. Dakota Dawn Delineation serves the Wayne, Gladwyne and Devon, Pa., regions. Tim Dewson and John McMahon started Dewson Construction in 1993 after working in the hands-on renovation industry. They’ve grown their company into being a premier custom home builder, although they still enjoy completing specialized renovation projects. Dewson proudly accepted the 2016 Houzz award for the Best in Design & Service for Philadelphia builders. Client relations are the keys to Dewson Construction Company’s success. Although their office is in Delaware, Dewson Construction serves the greater Philadelphia area. Robin Bieber specializes in green building technology. He has over three decades of experience in custom homes using energy efficient designs and products. In addition to new homes, Green Robin takes on renovation work using sustainable design and techniques. They also specialize in handicap accessible designs. Bieber’s company recently won the Main Line Today Green Award for excellence in home building. Green Robin Homes services all areas surrounding Philadelphia. Stacey McShane represents H.P. Flanagan, Inc. Builders. They’re a complete service construction company taking clients from bare land through the design-build stage and leaving them with a completed dream home. With 20 years of home building experience, McShane and her company have dozens of delighted past clients as references. In addition to new homes, they also do barn construction, home additions and remodeling. H.P. Flanagan, Inc. Builders operates primarily in Chester County. Intersect Homes is a boutique construction company with a core business in intersecting time, design and quality. They are well-respected and detail-oriented builders and interior designers. Intersect boasts of building exceptional and sustainable homes for demanding clients. Outside of custom home projects, Intersect also completes cost-effective commercial properties. Customer service is a priority. Intersect Homes, Inc. works in the Chester County area. Mark Janiczek has a stellar reputation for outstanding architectural design and detail skill. He’s also known for excellence in craftsmanship, customer service and project management. No matter how small or large a project’s scope, Janiczek Homes will give complete attention to it and deliver it on time and budget. Janiczek commits to responsible building methods and green practices. They’ve served the Wayne, PA region for many years. 8. Mantis Construction Company, Inc.
Stephen Manatakounis represents the Mantis Construction Company, Inc. They’ve built many beautiful custom homes on the Main Line of Philadelphia since the 1980s. Mantis provides a full-service menu from unique custom home design-build to spectacular renovations. Mantis doesn’t rely solely on subcontractors. They have in-house carpenters who commit to personal excellence. Besides elaborate projects, Mantis Construction Company, Inc. handles small renovations in Montgomery County. Luke Meisenbacher specializes in designing and building 18th-century colonial reproduction homes using today’s technology. His exceedingly beautiful classic masterpieces reflect the best of yesteryear’s lines with state-of-the-art features. Since 1999, Meisenbacher Homes has delivered quality and value to discerning buyers in a wide sweep of regions. Although based in New Jersey, Luke Meisenbacher takes on custom home projects in the Philadelphia area. Neerlander Building & Remodeling is a family-run construction company represented by Deb Neerlander. They have over 30 years of experience in residential work doing both custom homes from the ground up and specialized remodeling projects. Character homes are favorite work for the Neerlanders. They take old charm and blend it with new energy-efficiency but also do commercial projects like restaurants. Neerlander Building & Remodeling serves the North Lancaster County region. Todd Davenport and Steve Strickland manage The Portland Group LLC. Each has over 20 years of construction experience in the building trades. Together, they know every angle of the business and have incredible attention to detail. They established The Portland Group in 2000 after individual referrals and repeat business from many satisfied clients. They operate a full-service residential construction company handling everything from design to building. Besides complete homes, The Portland Group LLC takes on renovations. They’re established in Bucks County, Pa. The Iacobucci family is known for building unique homes and communities. They’re a family business started by Ray Iacobucci in 1955. Today, Stephen Iacobucci manages this renowned construction company and carries on a tradition of fine-caliber work. They build homes with particular attention to energy efficiency and custom detailing, having many awards to their credit. Raymond Iacobucci Communities LLC offers homes in Garnet Valley, Pa.
Building dream homes is a way of life with Rockwell Custom. Luke Attanasi provides custom design and building services that reflect his clients’ individuality and personality. With 20 years of hands-on experience, Attanasi and Rockwell Custom has a solid reputation for value, integrity and dependability. Beyond quality homes, Rockwell builds long-term customer relations. Rockwell Custom specializes their work in the Main Line of Philadelphia. Sullivan Building & Design Group provides a full-service design-build firm. They work hand-in-hand with clients from the concept stage to completion. Sullivan understands that design is the foundation of a successful project, not the bricks and mortar. Besides an in-house design team, Sullivan employs top craftspeople and project managers. They also have their own millwork and cabinetry shop. Sullivan Building & Design serves Quakertown, Bucks County, Lehigh County, Hunter Don County and Montgomery County in Pennsylvania. 15. Total Custom Homes, Inc. The Total Custom Home team has 30 years of experience under their tool belt. During this time, they’ve completed hundreds of custom home projects and assembled an all-star line of talent. Total Custom Homes works with designers and tradespeople to assemble whatever a client wishes. They do custom renovations and cabinetry as well as complete homes. Green building is a specialty. Total Custom Homes, Inc. does business throughout the greater Philadelphia region. The Turnberry Construction Group are “Certified Green Professionals” recognized by the National Association of Home Builders. This designation is well-earned as Turnberry has plenty of experience in green building techniques. They apply their sustainable craft to custom homes, commercial buildings and renovation projects. In new homes, Turnberry Construction offers a budget-wise classic series and a luxury estate series. They also build barns, garages and additions. Turnberry Construction Group operates in North Lancaster County, Pa.
With over 50 years of experience and three family generations, Tuskes Homes welcomes families to a better quality of life. Tuskes cherishes lasting relations. With so long in the business, they see customers as neighbors, too. Tuskes Homes provide custom home building, additions and renovation services. They service a wide region around Philadelphia. Chip Vaughan spent 35 years creating some of the most outstanding homes in Philadelphia’s Main Line. The National Association of Home Builders and Builder Magazine named Vaughan and Sautter the Builder of the Year. For Vaughan and Sautter Builders, excellence is a constant companion. They do custom design-build work for high-end clients as well as building communities. Vaughan and Sautter Builders work in Philadelphia’s Main Line. William J. Bonenberger founded W.B. Homes, Inc. in 1986 after learning to build homes from the ground up. He grew his company on core principles of honesty and delivering value. Today, W.B. Homes has built over 2,500 new homes in 70 communities. They build custom projects, carriage houses and specialty single-family residences. W.B. Homes, Inc. operates in Bucks County and Montgomery County in Pennsylvania. Wilkinson Homes has over 30 years behind them in building award-winning custom homes. They construct luxury single homes and active adult lifestyle communities. Services include new homes, site preparation and general contracting. Wilkinson Homes covers a wide area in Greater Kent County. What is your building experience? What insurances do you carry? What contract forms do you offer? How many projects have you done that are similar to mine? Can I visit your sites? Will you supply me with references? What subcontractors do you use? What is your lead time to start? What will the project timeline be? What are your payment schedules? What are your deposit and hold-back requirements? What dispute resolution do you use? 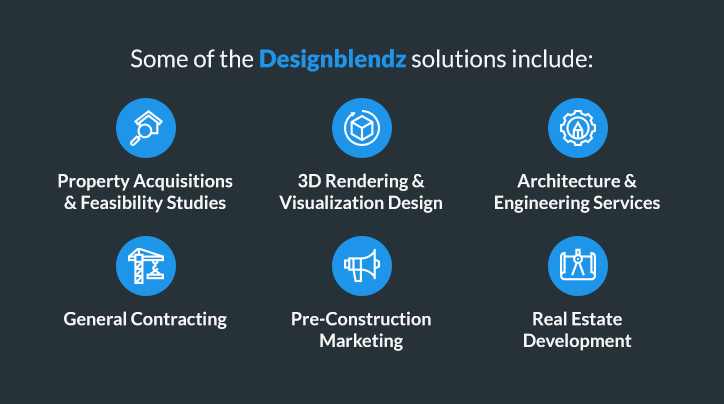 Designblendz provides streamlined solutions for architectural firms, realtors, brokers, developers, builders and businesses in the Philadelphia region. We have a talented team of 3D visualization designers, licensed architects, software developers, industrial designers, real estate marketing gurus and construction management professionals. 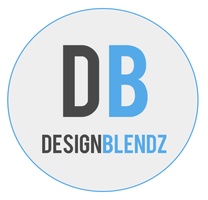 Together, Designblendz has a blend that produces world-class results. 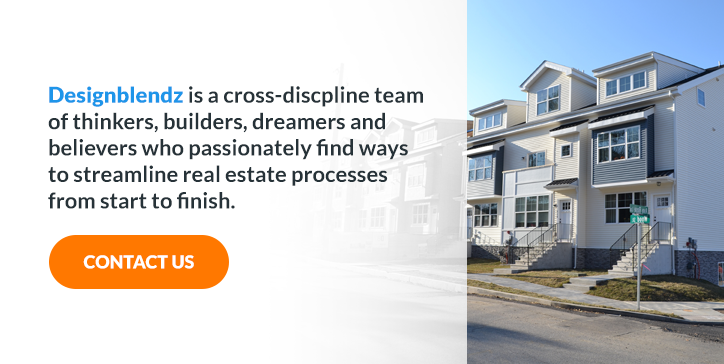 Designblendz is a cross-discpline team of thinkers, builders, dreamers and believers who passionately find ways to streamline real estate processes from start to finish. Subscribe to our blog for more information on construction, real estate and architecture. Or call Designblendz today, and we’ll discuss your problems then find a solution. We’re at 215-995-2465, or you can contact us online.